As a country with no natural resources, Singapore demonstrated boldness by establishing GIC, a sovereign wealth fund, back in 1981. GIC is well-aware that as the Government’s fund manager, we must continue to invest well to benefit present and future generations of Singaporeans. Just like how they take a long-term view for their investments, GIC does the same for its people. 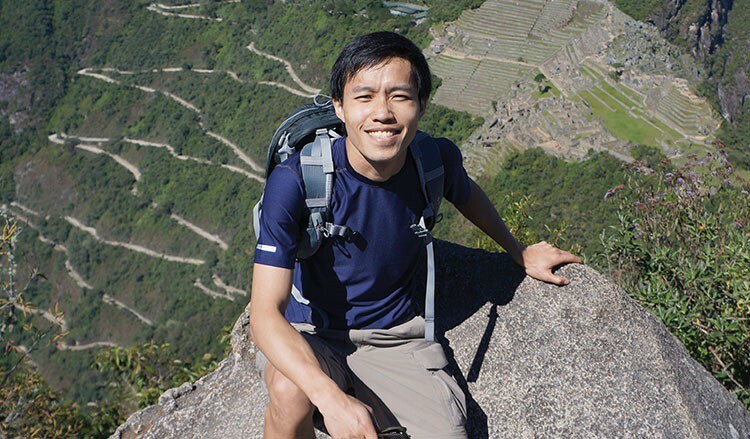 Er Wenjun would know – the GIC Scholar has received boundless opportunities to help him succeed in his role as Analyst. “The rigour of my Bachelor’s and Master’s degrees sharpened my analytical and problem-solving skills, which are crucial in my day-to-day research work. The quantitative nature equipped me with the necessary skills to handle data manipulation at work today efficiently,” Wenjun shared. As part of the GIC Scholarship, Wenjun obtained his Bachelor of Electrical and Electronic Engineering, which he pursued at the UK’s Imperial College London, and his Master of Finance which he read at the US’ Princeton University. As a participant of the GIC Professionals Programme, Wenjun has also had the opportunity to understand the entire investment business through stints in various functions. “The experiences I’ve gained through well-structured projects and the guidance provided by experienced mentors were invaluable in the course of deciding my preferred field of work,” he tells us. It also gave him greater insights into how a ‘One GIC’ mindset is a significant competitive edge for GIC, given its breadth and depth of expertise across investment groups and corporate functions. He also highlights that GIC Scholars can benefit from a well-structured mix of vacation trainings, mentorship by seasoned in-house professionals, and other development courses and programmes. All these lay the foundation for a successful career in the finance industry. “The openness of our bosses to pass on knowledge, as well as GIC’s access to research resources, industry experts, and top-notch trainers provide an unparalleled experience for any aspiring young professional in the field of finance,” Wenjun tells us spiritedly. Having been with the organisation for a while, Wenjun has some nuggets of wisdom he’d like to share with aspiring GIC Scholars.